What does that mean now? is it broken? What is the version of the menu you are using? 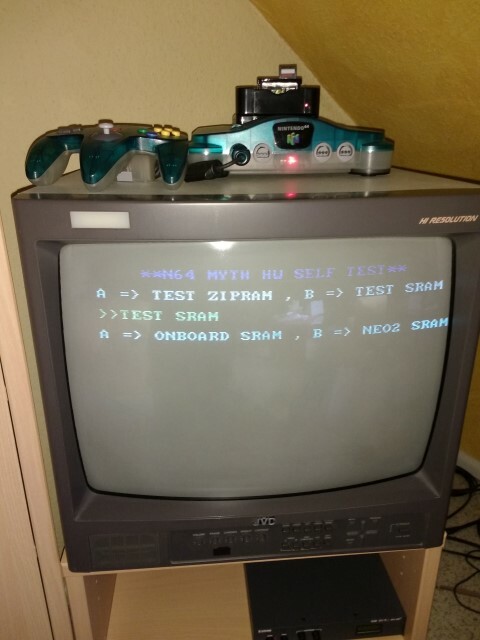 I will try out the same menu version on my N64 Myth and then I'll test Super Smash Bros to see if I can find anything. After you finished playing Super Smash Bros, did you press the reset button to go back into the menu or did you quickly turn the N64 off and on again to go back into the menu? 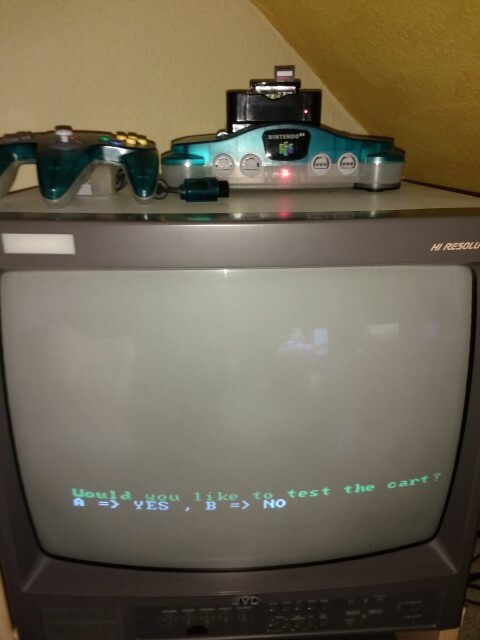 Ok, please try to start Super Smash Bros with A(reset to menu) and then after you have switched the Audio setting from Stereo to Mono inside the Super Smash Bros option menu(just to see if it saves the option) use the reset button to go back into the N64 Myth menu . Then load another game and then load Super Smash Bros again and check if the audio setting is still on Mono. In my case it was, so it did save correctly, it also did write the sra file into the "menu\n64\save" directory. - in the menu when hovering over Super Smash Bros, check with the Z-button that the selected save type is SRAM. Other than that I don't know what else could be wrong but I will search through the forum and maybe I can find a similar case from the past. I followed all your steps, but poorly there was nothing saved. After changing the game and loading Super Smash again, the Stereo setting was active. So of course there is no save on the SD either. I also tried formatting the SD card and i checked for the .fast file, which is present. The savetype is also correctly on SRAM. The GBA cart should be inserted correctly. The SD card i tested it with is already a new one. isbthere any kind of warranty on the product? Or do I have to buy a new one if it is a hw issue? try "Dr.Mario 64" this game, fill in the name and save then exit from the option,turn off,and turn on console. if you can see the name still, then it's not the HW issue. I can't test it with Dr.Mario 64 because it is only available for NTSC, and I've got a PAL N64. The SD card i tested it with is already a new one. I asked you to to try a different SDC from the one you're using or force it to slow mode. What I meant is that the SDC I'm using at the moment is already a diffrent one than the one i used when I started this thread. But i tried the slow mode today and there is still no savegame created. 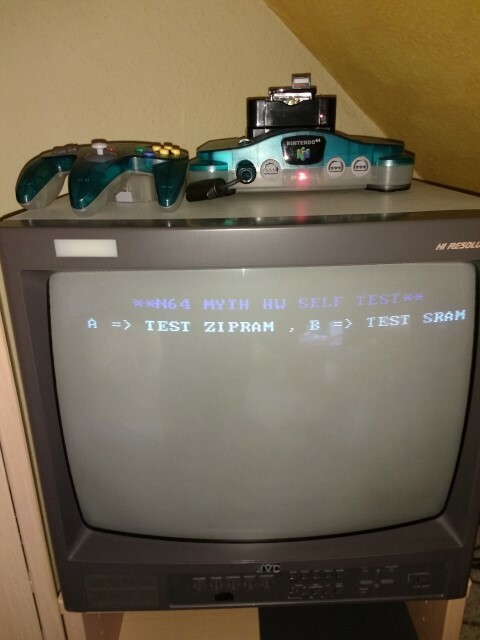 I don`t have a diffrent GBA cart. So I have to buy a new one, right? 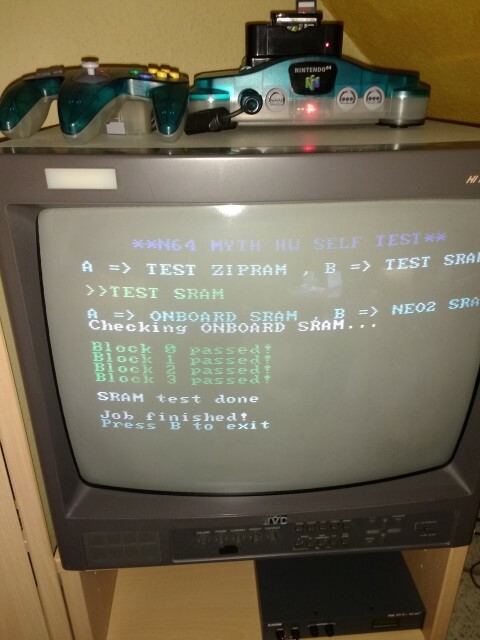 If you don't get any errors then maybe your SD card or the connection between your SD card and the Neo2 cartridge if faulty. But in this case loading roms from SD card should fail too I guess.